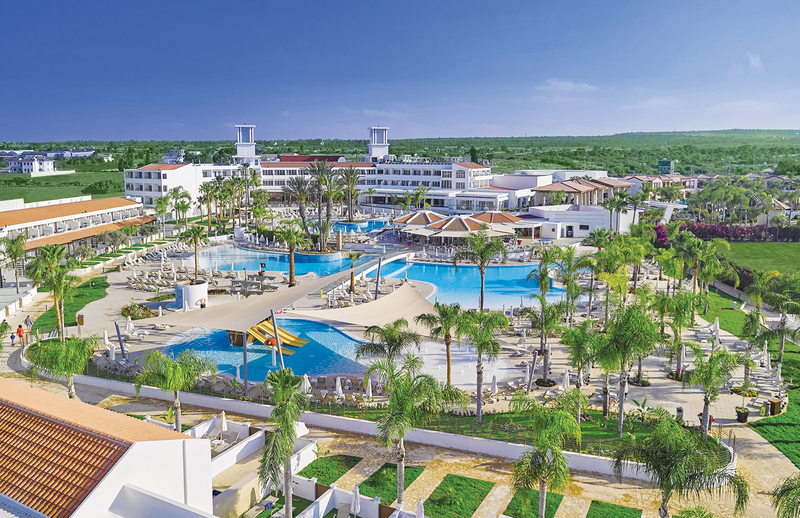 The award-winning Olympic Lagoon Resort Agia Napa, has now been upgraded and extended to a five-star luxury hotel. The fully renovated existing rooms and suites and new room types provide luxury and comfort for families with children or couples seeking privacy in a variety of styles and suites. Its Hotel-within-a-Resort concept features 7 restaurants, including a new Italian Restaurant serving an innovative a la cart menu as well as a brand new inspirational a la carte restaurant celebrating great humans whilst serving great food from old-time classic recipes to shared family menus. The resort also provides 4 indoor and outdoor bars/coffee shops. 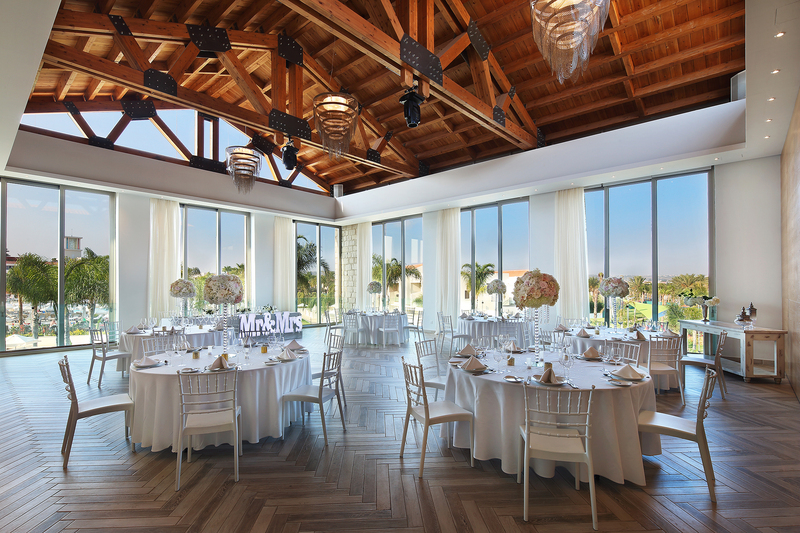 One of the most exciting venue is the new indoor entertainment arena where guests may lay back and enjoy its spectacular shows in the evening; and during daytime guests may relax to one of our 5 themed lagoon-type swimming pools including our lazy river pool. And let’s not forget about our small enthusiasts; our kids club is every child’s paradise with our numerous indoor and outdoor activities as well as our unique teenage club because teenagers need their space too. A stunning fairy tale setting, set within a sunken garden. 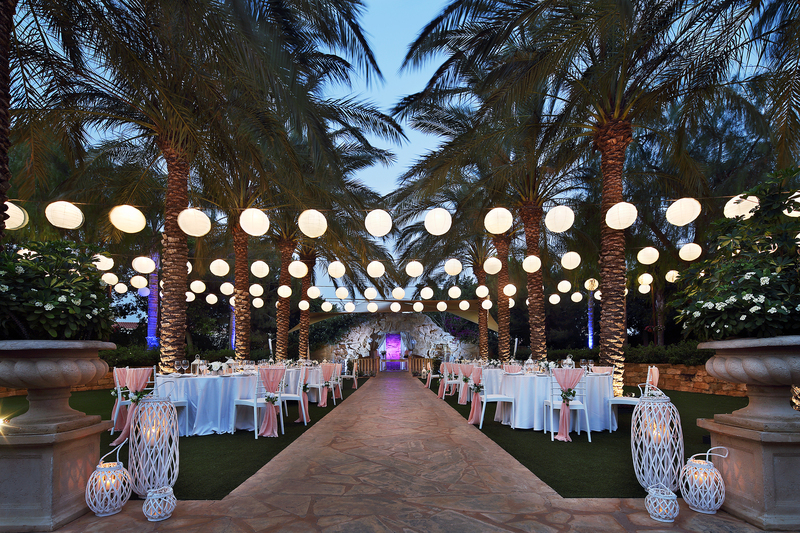 A haven of romance has been created with small lakes and romantic waterfalls next to a charming little cave where bride and groom will be united in matrimony. 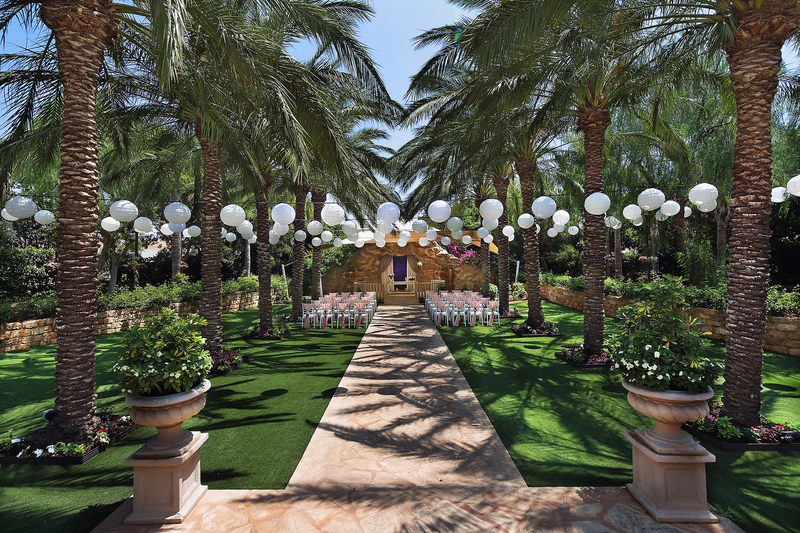 This tranquil and private area also offers a beautiful backdrop for wedding photography. 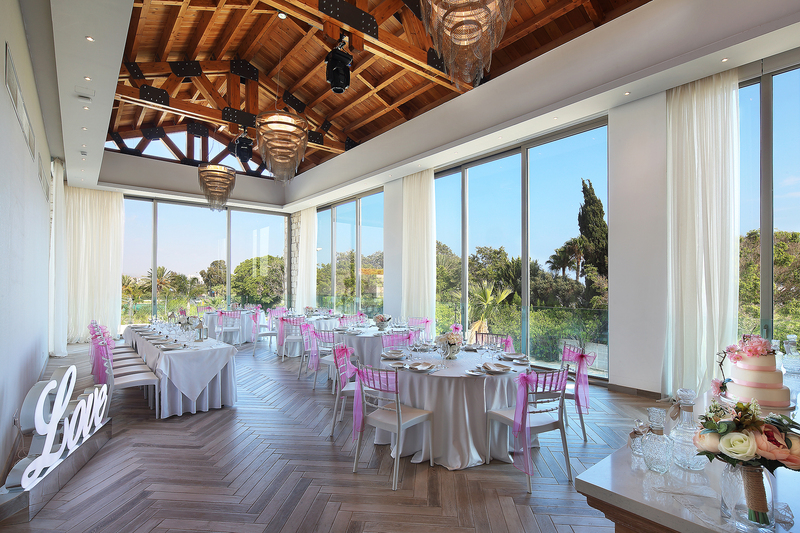 Important Notes: Wedding parties wishing to dine from the All Inclusive terms would only use the Main Restaurant (Royal Olympic Restaurant) at normal sitting in the company of other guests.